We’re excited to announce the launch of our beta. Thank you to everyone who has helped us thus far with their feedback. It’s been very helpful. 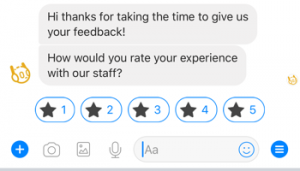 Video capture – respondents can send you short video responses from within Messenger. 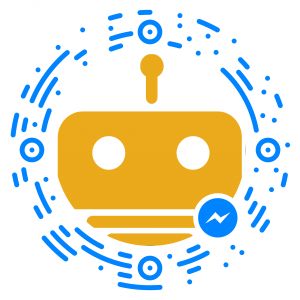 Audio capture – capture audio responses directly from Messenger. Star rating – a simple 5 star rating to see how respondents rate you! Likert scale – easily add a 6 option likert scale to your questions. Setup jump logic in your questions for different keywords that appear in a question answer. You can add as many keywords as you like as well as a fallback question to jump to if none of the keywords appear. The Survey Builder is now a lot quicker at loading and saving questions. The Survey builder now paginates your questions which is handy if you have a large survey. We’ve also enhanced the way it saves your questions. 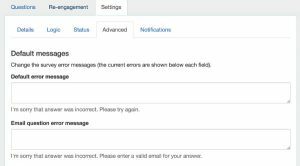 You can now easily add messages in between your questions as you build your survey. You’ll see a separate button at the bottom of the survey or current question for adding messages. A lot of the time when you build surveys you’ll have slight variations of a question occur multiple times. Like using likert scales etc. This can be tedious so we’ve now added the ability to copy questions as you create your surveys. You’ll see the copy button in the top right of each question in the Survey builder. 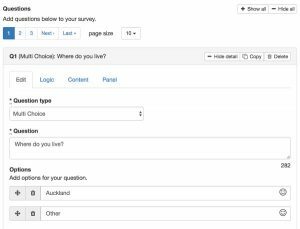 You can now copy an entire survey after it has been created. 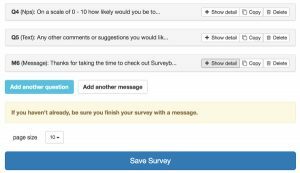 This is handy if you want to use surveys as templates and create other surveys from them. (the copy survey button is located under the Settings tab on the Design page). Every survey you create now has a unique Messenger Code that can be used to start it. This is handy if you need people to start your survey when they’re not online like at an event. (you’ll find your Messenger code for your survey under the “Collect” tab). 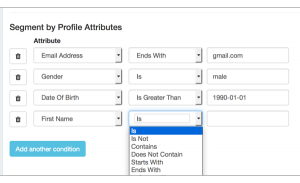 Profile segments enables you to create segments in your panels based on the profile attributes for a respondent. You can match attributes based on conditions like “contains”, “starts with”, “greater than” and more. 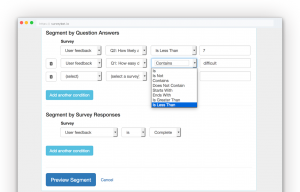 Question segments enables you to segment your panels based on the answers to questions in previous surveys. 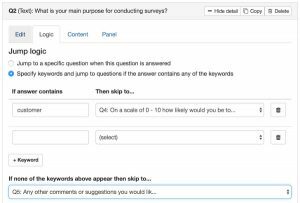 You can create conditions for as many questions as you want and even segment with questions from different surveys. 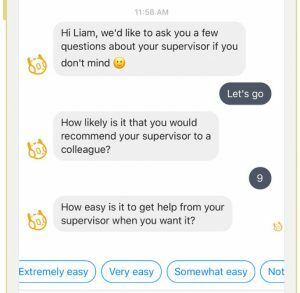 With Facebook Workplace integration you can now create and distribute HR surveys across Facebook Workplace to your employees. 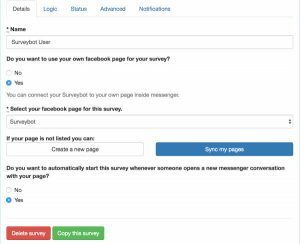 Surveybot now supports multi user accounts. 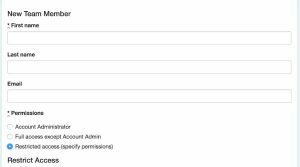 Add as many team members as you like and set parameterized permissions for each team member. Integrate your survey responses in realtime with over 750 apps and any system you need. 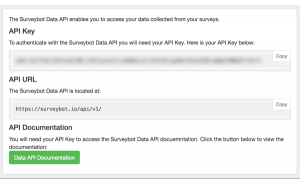 Surveybot now supports Zapier integrations and has a Data API + Webhooks to do all this. And last but not least we have a shiny new website. 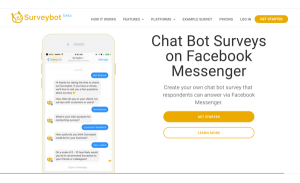 There’s a slick new design as well as a whole lot of content about all the different features Survey bot supports. You can check it out here.